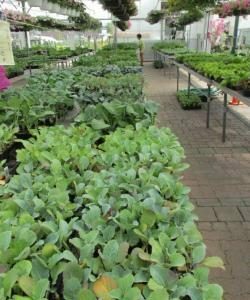 Sixteen Acres Garden Center has been providing an extensive selection of top quality plants and products to our customers for over 50 years, as well as customer service that is considered exceptional within the industry. 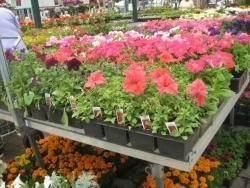 We pride ourselves on growing a unique variety of potted and hanging flowering plants that are cared for by our staff of professionals. 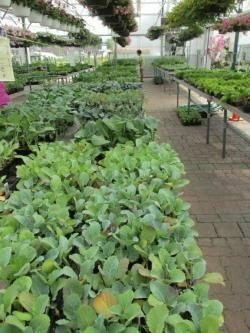 Our nursery is brimming with annuals, perennials, trees, shrubs, roses, grasses, pond plants, and everything to enhance your landscape. 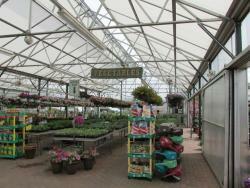 You can always get advice about plant care and maintenance from our many professional horticulturalists. 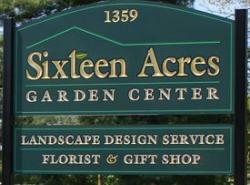 We also offer a full service florist and landscape design and installation services.